Home Family & Parenting Kids & Children Health Does Your Child Have Meltdowns? If it’s a tantrum, it’s mostly because they didn’t get what they want. Meanwhile, children in meltdowns feel overwhelmed of the situation. If it’s the latter, you can try checking your kiddo’s bed routines. Studies show that children who do not have enough sleep trigger the possibility of tantrums or meltdowns than who do. 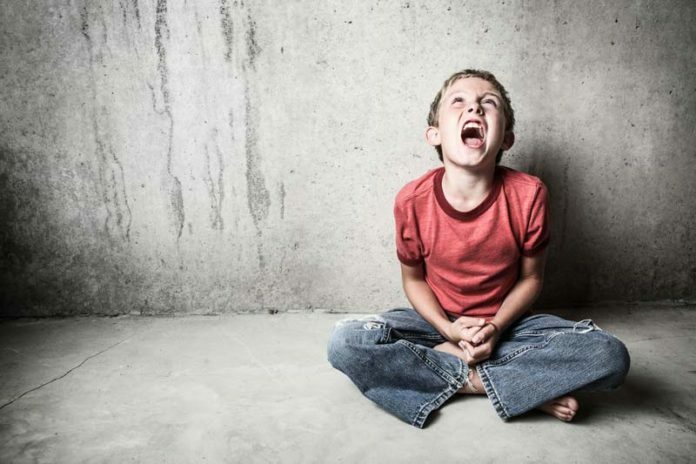 A tantrum is a frenzy or an outburst caused when the child did not get what he wants. For example, the child feels that his brothers or sisters get more attention, or parents don’t love him back because they did not buy his favorite toy. Often, tantrums are caused by lack of attention. However, a meltdown is an overwhelming emotional feeling that the child is helpless and lost. To illustrate, it can be a child’s first day at school and doesn’t want to be away from his parents. Additionally, a child can feel overwhelmed by the thought of having to sleep on his new room. Not acting out on your kid’s behavior will lead to long-lasting effect on his development. His meltdowns and tantrums may go beyond childhood and will continue on his adult life. That’s why as parents, you may delve deeper into this issue and correct them or reduce them when your children are still young. See that a lack of sleep can alter your child’s behavior and will lead to some early health problems. Screaming, crying, and flinging of arms? Yep. It’s not easy soothing an overwhelmed child, but here are tricks that can help make the situation more tolerable. Stay calm and listen to your child. A rowdy baby can irritate you, but never attempt to raise your voice or contradict the case. It may escalate to what it already is. Given in your kid’s emotional state, you must be the calm and cool-headed one and redirect the condition of your argument. Try to be silent and repeat what your child is saying. That way, the child will feel that the parent is listening to him and his needs. It will take some time, but your kid will slowly calm down. Hold your child’s hands if possible. This way, you can soothe him and divert his attention to your words. The act of holding his hand will calm him as he sees that you are listening to him. If he doesn’t want to hold your hand, then don’t force to grab his hands. Breathe in an out. Breathing helps calm the nerves. When your child sees that you’re calm, he or she will imitate it unconsciously. Remember, when the parent is also agitated, the child will also continue raising his or her voice and pull off tantrums. Go to a quiet area. If you and your child is within a noisy location, it can escalate his tension and be overwhelmed even more. When the two of you are in a more quiet area, your kid will calm down a bit and may even stop bawling. Give a number. Change is something that will overwhelm your child. To avoid the abrupt ‘newness’ of activity and scenario, give a number to countdown. For example, if your child wants to go home, you can say two more items to buy, and the two of you can go home. The sense of promise in numbers will have your child divert his attention to counting than concentrating on his frustrations. Now that you have your child settled in try observing and altering his bedtime routines if they’re a little bit off. Here are some ways to tuck your kid for goodnight’s sleep. Lacking sleep? It could be the reason of your child’s meltdown. I mean, don’t we all get cranky when we can’t get enough sleep? Here’s how to cope with your child’s sleeping habits. Don’t overstimulate your baby. Instead of having him running amok in the garden or living room, you can place him in his baby jumper for him to play. If he’s tired, he can sleep in his bouncer too! Don’t leave him there for a long time though! Massage him with essential oils to make him feel drowsy. The best oils to use on him are lavender and chamomile. Also, you can try giving your child some chamomile tea to calm his restless nature. Try co-sleeping with your child if he can’t sleep on his own yet. Your child might break into meltdowns because of his anxiety. Gradually, you can teach your kid to sleep on his own when the right time comes. Know your child’s schedule. Remember, it comes in a form of “eat, play, sleep” and repeat. If you see your child yawning and all, don’t engage in any strenuous activity. That will only rouse him more and be overtired! Sleep together with your kid! Parent and children who sleep together often have the most wonderful and soundful sleep. Don’t you know why? Because each mimics the other’s pattern, breathing and sleeping time. If you want your kid to sleep, be a role model to him or her. meltdowns autism, sensory meltdown, meltdowns in adults, what is an emotional meltdown, 4 year old meltdowns normal, toddler meltdowns 2 year old, toddler meltdown funny, adhd meltdowns, Does Your Child Have Meltdowns?